Specifically the cult for children. Shun that thoroughly stinking rebellion. Extinction Rebellion. What's this about? I’ve been seeing and reading all about this alleged ‘youthful” rebellion. Started by a middle age woman, of course. Dr. Karen Bradbrook- Born in 1972 . Making her 47 years old. Hardly a young waif. She’s clearly made “protesting” her life’s work... ‘Cept I wasn’t under the impression protesting was profitable. Unless it was the “right kind” of protesting. By that I mean, acceptable to the planetary overlords. Check some of the Macabre Imagery Employed by the Cult that also Employs Death Ins..
An hour glass- Counting down to our extinction. These “Death Ins”? Did some PR firm create that ploy as a type of extreme attention grabbing theatrics? I'm sure that's exactly how the 'death in' came to be. Worse still is that these brainwashed youth might just be willing to fight and die to "stop climate change"after much perception managing encouragement, of course. By that I mean wage global war- They will of course ignore all the fossil fuel that will be used to wage that mass killing spree, but, judging by the heavy indoctrination these young minds are exposed to the 'carbon foot print' of a global war will be worth dying for the cause. Not a coincidence the article- Pre-Emptive War on China, Russia, India as the ONLY Solution to Climate Change?, was published (April 10/2015) just as the 'extinction rebellion' was kicking off it's mass protests, mostly in the UK. "XR campaigners are no radical opponents of the state, and seem to enjoy a rather cosy working relationship with the authorities. Environment secretary Michael Gove has thanked the campaigners, saying ‘we’ve got the message’. Some might try to make comparisons between XR and the gilets jaunes. Admittedly, one unofficial gilets jaunes environmental manifesto calls to ban plastic bottles and GM crops, but these minor points are overshadowed by the movement’s progressive demand to reindustrialise. Most importantly, they want to confront the authorities in France, and many of them want to leave the EU and exit NATO. The gilets jaunes are a radical, anti-state, politically progressive movement – even though they are relatively small in number. Appearing on Good Morning Britain this week, fighting back the tears, Dr Bradbrook said: ‘I have two boys, 10 and 13, and they won’t have enough food to eat in a few years.’ Is there any rationale for that idiotic claim? Has she lost her job? Has global food production closed down? Or is she simply offering an ecological version of Project Fear?" She’s obviously “offering up an ecological version of Project Fear”- Food production is fine. And this highly paid “protestor” can plant a garden and tend to it herself if she’s truly concerned about feeding her sons- Her statements are garbage. Nonsense. Simply made to induce fear in the gullible masses. 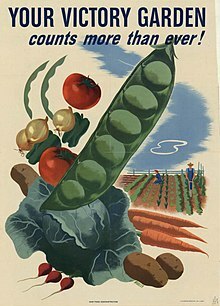 What happened to the day’s of the “Victory Gardens” in England. The US. Canada. And other nations. When people had fortitude and character. When people didn't look to the "state" to save their sorry asses. Now most people just appear silly & child like. Dr Bradbrook being the queen of that child like foolishness. Making absurd statements to sow fear. Is this what we’ve allowed ourselves to be reduced to? She should have been laughed right out of the studio. The fact that she wasn’t tells me all I need to understand about the agenda being pushed. "The second important factor is the elevation of children in the environmentalist movement. As Swedish climate activist Greta Thunberg becomes more god-like (she was recently blessed by the pope) so children’s authority on the environment issue has risen. This elevated status has enabled children to dictate the terms of debate, with adults often taking their lead from youngsters who have grown up immersed in environmental politics. Thunberg instructs us to stop talking about Brexit and focus on climate breakdown. We must obey. Increasingly, those who should know better are awed by childish naiveté. Ed Miliband attended the environmental school strike with his son, while the mayor of Sheffield is reported to have said, ‘It’s as simple as action or extinction… [These students] are literally saving our bloody planet.’ Children flouting the rules and, in return, having their transgressions ignored by the authorities, sets a precedent for yet more moral nihilism"
"The police absented themselves as youngsters with grievances rampaged through the streets of Tottenham and Wood Green, damaging vehicles and ransacking shops. It spread across London. And for 36 hours criminality seemed untouchable. One rioter claimed, ‘We’re showing the rich people we can do what we want’. The middle classes were terrified, of course. But, in these XR protests, a more jovial version of rioting has been invented, in which rioters have been redefined as protesters or campaigners. Activists are casually spraypainting buildings with impunity, disrupting traffic and undermining the workings of businesses. The police are displaying the same timidity that they did back in Tottenham, watching while protesters run amok. (This must come as a shock to militant activists who remember the days when you could be arrested and beaten up for an ‘unlawful assembly’ of 12 or more people on the street.)" It’s detestable when children are used as props. No decent parent should stand for that type of abuse. And yet they do. We’ve had so many child props for so long now as a group we’ve lost our understanding of how harmful this can be to the immature/undeveloped mind. When the Aleppo girl was being used to push pro war propaganda the alt media was aghast but when Greta Thunberg is dragged around like a braided talking doll, the mindless media cheers? Especially the alt media? What gives?! It displays such hypocrisy. What also strikes me as simply amazing is that this “rebellion” has garnered massive global media attention in just 6 short months! Obviously the media is delivering us some message that the masters of the universe simply feel we must be bashed in the head with until we are as dazed and confused as they like us all to be. Over the past couple of years, a large percentage of the country has rejected demands for citizens’ juries to resolve Brexit, because there is a justifiable suspicion that the questions the jurors would get to consider would be loaded. Undeterred, XR demands the formation of citizens’ juries to discuss, debate and resolve the alleged climate emergency. But for XR, the climate debate is over. These would be less citizens’ juries and more Diplock courts. While the activists of Extinction Rebellion recognise that the current ‘social contract’ has been broken, they fail to see that it is people like them who helped break it. "But while Mr Boardman-Pattinson rallies against climate change, he has taken at least three skiing holidays in recent years, and has posed for photographs in front of the leaning tower of Pisa. He was unavailable for comment"
You may have seen him in the video from SkyNews- If not look it up. The movement has raised over £200,000 in less than a year, much of which has come in micro-donations from members of the public. Within their donations, however, lie some philanthropists giving thousands, corporate funders such as the LUSH Charity Pot and European Foundations such as the Guerrilla Foundation. Antonis Schwarz is an activist and philanthropist of Greek-German origin and driven by the ideas laid out in the Guerrilla Foundation’s mission. He has used his inherited wealth to support a variety of social causes since 2011. As an impact investor, Antonis has invested in Bonventure, Goodwell, Sun Funder, Patamar Capital, African Clean Energy, Awamo, the Media Development Investment Fund, Kois Invest, Circularity Capital and the Social Venture Fund. He also is a MCE Social Capital double-guarantor. 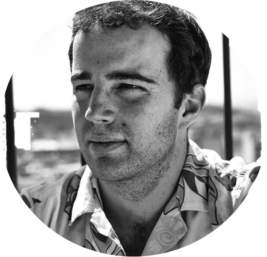 Antonis co-founded Vouliwatch, a Greek parliamentary monitoring organization that aims to increase political accountability. There are other philanthropic groups funding/connected to extinction rebellion also. Albert Einstein Institute. Gene Sharp. Oh so familiar.. He's been covered here on more then one occasion. His books/pamphlets magically appear at strategic government overthrows. And here we have a Gene Sharp style protest in the UK- from a group with ties to an NGO- with links to the Albert Einstein Institute. What are the odds? Today, April 19/19- Spring a month in already... NO leaves on the trees. The temperature is sitting at 6 C or 43F. 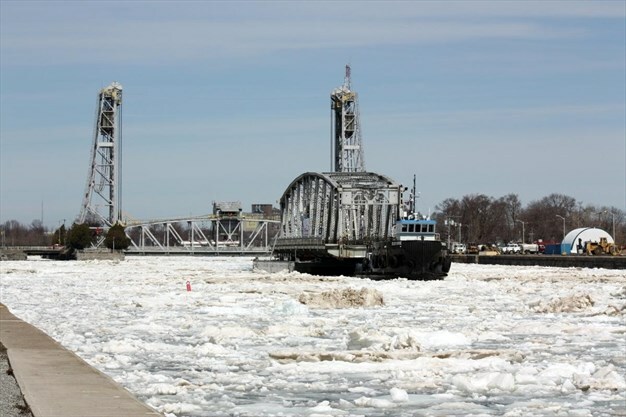 Went out for lunch today in Port Colborne- the Lake is still filled with ice. The canal is filled with ice. I saw it for myself! So did my husband. This 're-crafted" perception of Turkey as "obstructionists" is apparent in the years of Pentagon/media/alt media propaganda. I guess that means the propaganda will be upped as well? The crisis of "modern Turkey" is a crisis for America and Israel .. Nor are we a blight. An abomination. Or any of the other baseless pejoratives that get tossed around. We have our issues to be sure, but, we are vitally important to this planet. We belong here. We are part and parcel of the planet. I'm relinking two older interviews from one of my favourite authors..Stephen Buhner. If you've already listened to the Buhner interviews, skip down to the newer on from Higherside Chats. “If we eat the wild, it begins to work inside us, altering us, changing us. Soon, if we eat too much, we will no longer fit the suit that has been made for us. Our hair will begin to grow long and ragged. Our gait and how we hold our body will change. A wild light begins to gleam in our eyes. Our words start to sound strange, nonlinear, emotional. Unpractical. Poetic. Once we have tasted this wildness, we begin to hunger for a food long denied us, and the more we eat of it the more we will awaken. It is no wonder that we are taught to close off our senses to Nature. Through these channels, the green paws of Nature enter into us, climb over us, search within us, find all our hiding places, burst us open, and blind the intellectual eye with hanging tendrils of green.The terror is an illusion, of course. For most of our million years on this planet human beings have daily eaten the wild. It’s just that the linear mind knows what will happen if you eat it now. But we’ve gone astray with this, distracted from our task. Still, it’s a good reminder. When your hair begins to grow long and you think strange thoughts, sometimes you will wonder what is happening and will become afraid. In Nature, human markers fade, lose significance. It takes awhile to learn the old markers again, to see the path that ancient humans took before us. In kindness, learn how to comfort yourself, to hold yourself as you would a child that is afraid of the light. (I suppose you could learn the poisonous plants first if you need to; there aren’t very many.) For on this journey, you mostly have yourself for company. and find out what is true about all this for yourself. Open the door and take a look around outside. more wonderful than words can tell"
And then linking to a new interview- please listen to them. All. Peter Allen as interviewed by Greg Carlwood- I loved this interview! So much so that I almost emailed Greg Carlwood to thank him for taking the time to talk to Peter Allen. 'Cept I couldn't find the darn email address on the site. Oh well. Mr Allen speaks about how humans are becoming mechanized. And we are. And did I mention Oak trees are discussed? I LOVE OAK TREES! And one particular oak tree, near that Savannah, is one of a few of my favourite oaks- due to it's tenacious nature. Hug a tree. Expel your carbon breath in it's vicinty- Inhale the oxygen. And keep in mind the relationship we have with them. Long term readers here may or should recall my suggesting the possibility that the S-400 can be used as part of an A2/AD system in partnership with Russia. Of, course, I don't know with certainty, but it seems sensible that building this type of security "bubble" is something Russia and Turkey could have a mutual interest in undertaking. Protecting their nation states coastlines/choke points and the ability to have free passage into and out of the Black Sea. This could be part of an A2/AD? "Ankara is digging in its heels on the procurement of super-advanced Russian S-400 surface-to-air missile systems and has declared that it is determined to go ahead with the receipt of the first batch in July and that the system will be used to shield the Aegean and several other areas. The locations where the missile systems will be placed are being reviewed by the Turkish General Staff and government. It is expected that one missile battery will be stationed at the Akinci Air Base northwest of Ankara, which is where upkeep work for all the batteries will be done"
Definitely related to both previous posts. 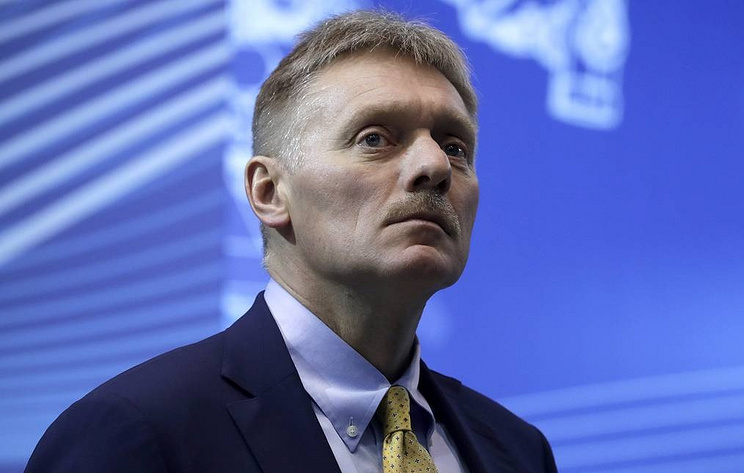 "Russia hails a tough stance of Turkish President Recep Tayyip Erdogan in response to the United States’ pressure on Ankara over its deal on purchasing Russia’s S-400 missile systems, Kremlin Spokesman Dmitry Peskov told "Moscow. Kremlin. Putin" program on Rossiya-1 TV channel. In November 2016, reports emerged that Russia and Turkey were negotiating an S-400 missile system supply deal. 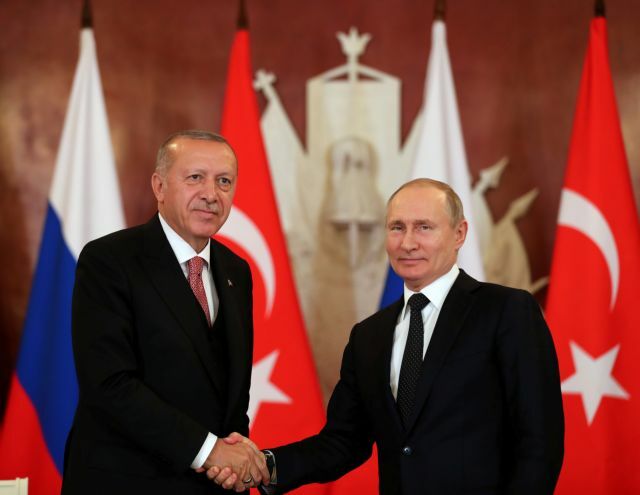 In September 2017, Moscow confirmed the deal had been signed, while Turkish President Recep Tayyip Erdogan announced that Turkey had already transferred the advance payment. The US is actively trying to cripple Turkey’s attempts to purchase Russia’s S-400 systems"
HEADS UP: Cyprus is a flashpoint location (a critical situation or area having the potential of erupting in sudden violence) Expect Cyprus to become inflamed. With a probable move made by Greece on the island itself and in the surrounding waters-This move will be undertaken to increase pressure on Turkey. The plotting for a regional remake continue. “This will add to the positive political cooperation developing among the countries of the East Med region,” Ellinas said, reminding that Jordan is already a member of the East Mediterranean Gas Forum (EMGF), along with Cyprus and Greece. “The tripartite will cement this relationship. But even though energy is on the agenda, it will not have any direct bearing on the gas developments in the East Med. Despite political statements on energy cooperation, Cyprus cannot export natural gas to Jordan – it is not feasible,” Ellinas said, adding that, in any case, Jordan has signed deals with Egypt and Israel to secure the gas it needs and it is also importing liquefied natural gas (LNG). Cyprus, Greece and Egypt and more importantly Cyprus, Greece and Israel, which met on 20 March in Jerusalem with the participation of US Secretary of State Mike Pompeo, have also bolstered cooperation, agreeing to boost the development of energy resources and security in the eastern Mediterranean"
Long, long time readers here may recall that there were "Kurdish refugees" safely ensconced in the British base in Cyprus. You can be ASSURED these were not refugees of any sort. In 1998, a boat carrying mostly Iraqi and Syrian Kurds was brought ashore with the aid of British forces. However, due to the legal and political status of the base, the group of 67 asylum seekers remain stuck on the base almost 17 years later. Accidentally landed at a sovereign British base just 5 years ago? The territory serves an important role as a station for signals intelligence and provides a vital strategic part of the United Kingdom communications gathering and monitoring network in the Mediterranean and the Middle East. While Iraqi and Syrian Kurds (PKK?) brought ashore by British forces remain at the base 17 years later?? (Could these have been some of the infamous Kurdish children fighters? If so imagine a group of highly trained 30 ish year old fighters, right on the base, ready to be deployed. Rather then a statement, my headline is posing this idea, of it not being to late from stopping Turkey from realigning with Russia, as a question. "Given that the S-400 deal with Russia could have such adverse consequences for the U.S.-Turkey bilateral relationship, the real question is how this transaction was allowed to get so close to the finish line? This imminent transaction has raised major concerns in Washington. As a result, Turkey could be sanctioned under the Countering America’s Adversaries Through Sanctions Act"
Given that the S-400 deal with Russia could have such adverse consequences for the U.S.-Turkey bilateral relationship, the real question is how/why was this transaction allowed to get so close to the finish line? Is this at least one why of the coup attempt in Turkey? "For the Turkish president, the S-400 option was long viewed as a tactic to pressure Washington to improve the concession terms for the Patriot, an air and ballistic missile defense system to be transferred to an ally in need. Of all NATO members, Turkey faces the greatest threat from the proliferation of ballistic missiles in the Middle East. Back in 2011, a senior commander of Iran’s Islamic Revolutionary Guard Corps said Tehran would target NATO’s X-band radar in Turkey if the United States or Israel were to ever attack Iran. The response from the alliance has been the phased adaptive missile defense shield, an integrated architecture of radars and interceptors to protect NATO countries against ballistic missiles, which is allegedly unable to provide cover for the whole of the Turkish territory due to Turkey’s proximity to Iran and Syria, leaving Ankara feeling vulnerable"
Allegedly unable to provide cover for the whole of Turkish territory...??? Reads to me like the US wanted to leave some Turkish territory so it could be easily attacked. "The S-400 deal has also become a critical component of Turkey’s policy in Syria, where Ankara’s position shifted over time from a regime change agenda to defending its security interests by preventing the expansion of Kurdish influence in northern Syria. By hinting at a rapprochement with Russia, Turkey wanted to compel the U.S. government to review its policy of backing the Kurdish People’s Protection Forces (YPG) in Syria"
The S-400 deal is years old and the US just kept right on arming the PKK/YPG. Clearly the US didn’t or wouldn’t share Turkey’s security concerns in this regard. The erosion in mutual trust provoked by the continuing U.S. support to this Kurdish entity was a major consideration that altered Ankara’s calculus about the purchase of this strategic weapons system from Russia. When Ankara first inked the deal with Moscow in 2017, U.S. officials did not immediately make it clear to Turkish authorities how grave the consequences would be if they went through with this purchase, possibly thinking that this was essentially a negotiating tactic and that in due time as a NATO ally, Turkey could easily be persuaded to drop the Russia option. Another possible reason is that the sanctions legislation had not yet been adopted. Pence states that despite the reality that the US has, for years now, ignored Turkey’s security concerns. Where is the the alliance in NATO? One would have thought the NATO alliance would/should have considered impaired capacity to project power and weaken operability through Turkey. Unless the US has other ideas? Kurdistan. NATO’s new Southern Flank? Last bit from oped: "Averting the looming threat to the NATO alliance will require both Washington and Ankara to recognize their past missteps and demonstrate a willingness to shift their positions. That may be too much to ask from Trump and Erdogan, but it’s essential for the strength of the trans-Atlantic alliance." Russian Direct Investment Fund and Turkey Wealth Fund agreed to create a €900 million ($1 billion) investment fund focused on investments on technology, health care and infrastructure, Russia's sovereign wealth fund said on its website. The Russia-Turkey Investment Fund will initially invest €200 million in joint projects and follows an agreement signed by Russian President Vladimir Putin and Turkish President Recep Tayyip Erdogan. "Today the health-care, infrastructure and technology sectors are some of the most attractive for investment and development of our domestic economies. Once implemented, the projects will significantly improve living standards and will substantially increase the volume and efficiency of business engagement between our countries," Kirill Dmitriev, CEO of the $10 billion Russian Direct Investment Fund, said in a news release. In its latest travel update, dated April 9, the US warns travelers to avoid areas near the Syria and Iraq borders due to terrorism and kidnapping. “Security forces have detained tens of thousands of individuals, including US citizens, for alleged affiliations with terrorist organizations based on scant or secret evidence and grounds that appear to be politically motivated,” the advisory says. The advisory is one grade lower that the “Do not travel” level"